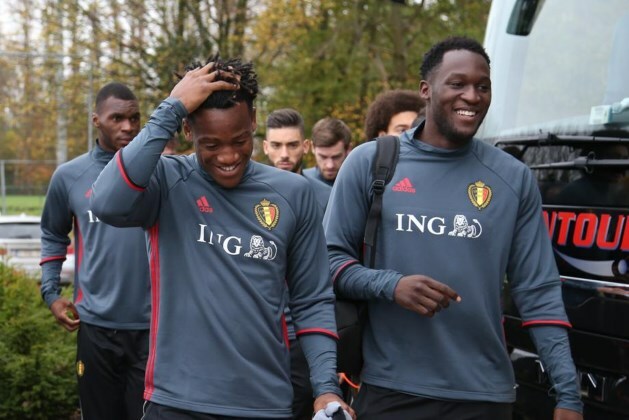 Michy Batshuayi plus £40m cash to be offered by Chelsea for this Premier League striker? According to various reports, two Belgian strikers could be involved in a massive swap deal plus £40m cash this summer as Chelsea look to bolster their attacking options under Antonio Conte. At this stage we know two things that are certain. Firstly, Romelu Lukaku is looking at life away from Everton next season with his preferred destination being Chelsea as he has claimed to have "unfinished business" here. Secondly, Michy Batshuayi has had to endure a nightmare first season at Chelsea having failed to make his mark since his big money move last summer and is now looking to leave the club to play regular first team football next season. The general consensus of opinion this week is that Antonio Conte is a big fan of Lukaku who has scored 83 goals in 157 appearances in the Premier League for Everton, and sees him as an ideal replacement for Batshuayi or Diego Costa for that matter. However, the stumbling block will be the Merseysiders and the fee they will demand for his services having paid Chelsea £28m back in 2014. It's understood that they would be looking to recoup at least DOUBLE the amount paid (£56m) which could prove to be a problem for Chelsea will other big name targets also identified such as Alvaro Morata. In order to convince Everton and Ronald Koeman to do business and entertain the idea of selling Lukaku back to Chelsea, Michy Batshuayi will be offered in addition to £40m cash which would give them a replacement striker and profit on their investment. I have little doubt that Batshuayi will be a success here in our league if he is given regular football. The problem he has had at Chelsea under Conte is that is non-existent which is why he wants to leave. It's unclear if there is any real substance to these reports and if Chelsea would entertain the idea of Batshuayi leaving on a permanent basis and not just on loan. What do you think of the possible swap deal plus cash? Is it worth Chelsea going back to re-sign Lukaku? What of Batshuayi? I am interested to read your thoughts and opinions in the comments section below.